Look to your left, look to your right. Of every five people you see in the city of Poughkeepsie, at least one of them is most likely living in poverty. But you won’t see that person around Vassar College, because our campus is intentionally segregated from the rest of the city; it is in a better school district, with more businesses, with more jobs and with wealthier residents. So, it’s easy to forget that the poverty rate in the city of Poughkeepsie is over six percent higher than the average across New York state. It’s easy to forget that almost one-third of children under the age of six in this city are growing up in poverty. (Welfareinfo.org, “Poverty in Poughkeepsie, New York,” 2019). It’s easy to forget that Vassar oftentimes is a drain to the community, rather than a benefit: For example, we significantly deplete the fire department’s resources, costing the city considerably more money than we give in taxes (The Miscellany News, “Vassar puts strain on Arlington Fire District budget,” 11.15.2017). It’s easy to forget that the city of Poughkeepsie is desperately looking for economic development, and even easier to moralize about how it does so. In late 2017, Dutchess County Executive Marc Molinaro, alongside Deputy County Executive Ronald Hicks and Dutchess Tourism Inc. President Mary Kay Vrba, made a trip to Israel to meet with various government officials and corporations, in the hopes of fostering economic development in Poughkeepsie. This year, Molinaro has upped his efforts, encouraging business collaboration with Israeli companies, promoting Israeli investment in the region and looking to partner Dutchess County farmers with Israeli agri-tech firms. This was framed in largely economic terms. Molinaro stated, “The Jewish people and those who have a loyalty to Israel are a major consumer and to open up agricultural opportunities here, some manufacturing and commercial opportunities here, knowing that the Jewish people and those loyal to the state of Israel in the New York City region want to have access to those products creates a business opportunity and we are growing that in Dutchess.” This economic relationship largely began when Israel’s Deputy Consul General in New York met Vassar College President Elizabeth Bradley on a trip she took to Israel last year (Mid-Hudson News, “Dutchess officials further trade relationships with Israel,” 03.23.2019). Enter Vassar College’s chapter of Students for Justice in Palestine (SJP), an activist group dedicated to ending what its members believe is an Israeli apartheid against Palestinians, armed with a moral superiority unlike any that I have ever seen and a troubling tendency to share Nazi propaganda on social media (Jewish Telegraph Agency, “Vassar pro-Palestinian group under review for Nazi cartoon,” 05.16.2014). Three years ago, in the midst of the BDS debate, my articles received national notoriety (one was even shared by Jeffrey Goldberg of the Atlantic) for their attack against the group for anti-Semitism, racism and a shocking misunderstanding of history. While stifled by its complete failure to pass BDS on a campus without so much as a pro-Israel org, SJP didn’t end its efforts there. Much like the mythological Hydra, it came back with more heads. The first week of April was Israeli Apartheid Week, during which the organization held a series of events discussing the conflict and expressing particular concern about this economic partnership between Dutchess County and Israel. SJP urged the school to “Join Students for Justice in Palestine in demanding, at a bare minimum…that Vassar plays no role in whatever economic partnership emerges” (The Miscellany News, “Israeli Apartheid Week highlights Palestinian oppression,” 04.03.2019). Essentially, Vassar College should play no significant part in rebuilding the city’s economy despite being a giant tax-exempt drain on resources. I’m not going to spend today arguing against SJP’s ideology—I’ve done that enough already. I’ve written article (Miscellany News, “BDS proposal ignores economic side effects,” 02.24.2016) after article (Miscellany News, “SJP ignores nuances of BDS resolution,” 03.02.2016) after article (Miscellany News, “Antisemitism present in antizionist rhetoric,” 02.10.2016) after article (Miscellany News, “Claims of ‘pinkwashing’ rely on toxic, antisemitic tropes,” 10.05.2016) on the subject. Rather, I simply want to express my concern for its members: It takes a certain kind of ideological obsession to condemn almost 7,000 people, over a third of all children in Poughkeepsie, to poverty in pursuit of moral purity. I’m concerned about how they’ll function in the real world, outside of Vassar, when sometimes they’ll have to compromise their philosophical consistency due to practical concerns. I’m even more concerned, however, for what should happen if somehow their demands proved successful. 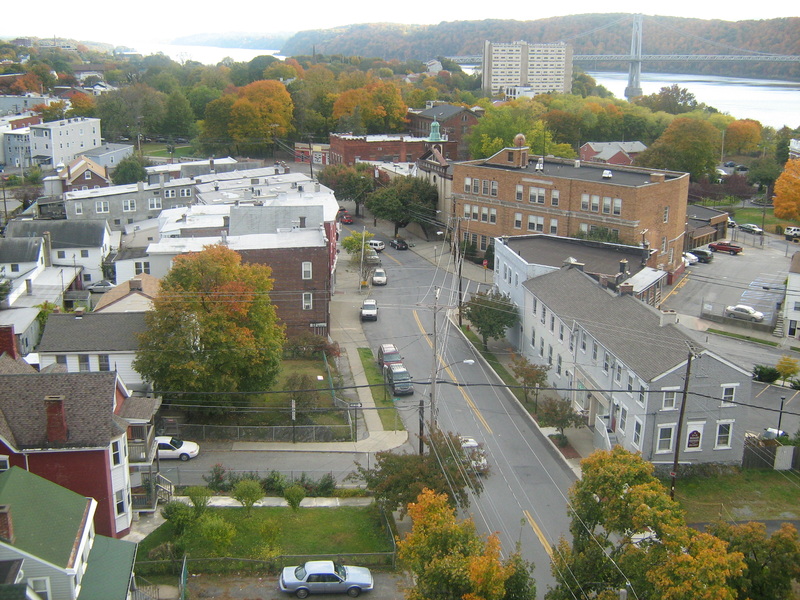 Poughkeepsie is not a dead city, but it is one which was hit far deeper by the economic crashes than many other cities throughout the nation and the state. Admittedly, this is not necessarily true of all of Dutchess County. While the unemployment rate has increased in the county since November 2016, it still ranks among the counties with the lowest unemployment rate in the nation (Poughkeepsie Journal, “Unemployment rates rise in Dutchess: Report,” 12.28.2017). However, Poughkeepsie, our home, has the highest poverty rate in the county and an especially high one for its minority population. According to the Dutchess County government, 56.5 percent of racial and ethnic minorities in the city of Poughkeepsie live in poverty (Dutchess County Government, “Dutchess County / City of Poughkeepsie 2013-2017 Consolidated Plan Executive Summary”). And so, I ask, what right does SJP have to demand that the City of Poughkeepsie say no to development? And what right does it have to demand that the administration say no to being a good neighbor by helping facilitate this relationship? I’m not claiming that Israel is the answer to all of Poughkeepsie’s economic problems or that SJP’s actions would be inherently destructive. I am only saying that the members of SJP are ignoring the economic realities in the city, either because they do not know or because they do not care. I am also saying that, with the amount of money Poughkeepsie is forced to spend on us, the least we could do is help coordinate economic relationships that could revitalize the area. Let me pose to you a question. 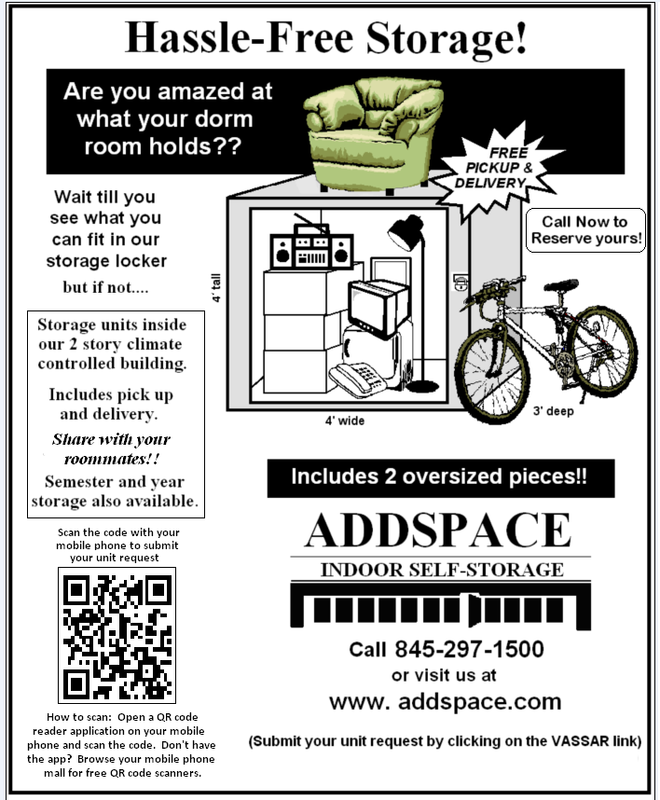 Suppose you are a member of a poor household in the city of Poughkeepsie. You’re struggling to raise your children. The fire department takes longer to get to your house because the firefighters are constantly busy rushing to a nearby elite college campus. Your local government is working with the Israeli government to try to create economic partnerships that could lift you and your neighbors out of poverty. Then, pseudo-intellectual armchair activists from Vassar College cry racism because they don’t like Israel. They convince Vassar College to drop out of the project, and without its help, the project falls through. Would you feel like we were good neighbors? Would you like us? Vassar College owes an enormous debt to its community—it’s a shame that some of us would rather politically pander than pay it. Nice way for Jesser to use poor Poughkeepsians as a prop for his support of Israeli apartheid. Simple question. If Louis Farrakhans’ organization were offering a service to the poor of Poughkeepsie would you be in favor of the city collaborating with that organization? Anything to cover for Israeli apartheid. Anything.